We’ve finally made our way to my favorite time of the year. Breaking down minor league prospects is arguably a favorite topic for fantasy sports. Not only does this allow me to be one step ahead when prospects get their calls, but I enjoy passing on as much information as possible to other fantasy baseball players. It’s never too early to start adding players to your shortlist, and some of these players can help get through injuries to your roster, or give you a boost that ultimately helps you win leagues. A lot like last off-season we still have major names on the free agent market in Bryce Harper and Manny Machado, and it’s starting to look like my statement from last season is proving true: teams are getting smarter with how they spend money and the longevity of contracts. As this article is tailored to minor league first basemen, it’s appropriate to point out the contracts of Albert Pujols and Miguel Cabrera. Both were signed to long-term deals by the Angels and Tigers, and the production no longer fits the money that is still owed. Both players are owed north of $28mil per season, and their injury concerns have made it tough to stomach, and ultimately made both players immovable. This week, I want to get a glimpse at the next wave of first basemen. Some of them will finally get their much anticipated calls in 2019, and hopefully they can make a significant impact for your fantasy teams. Without further ado, I bring you “That’s Amore!” Minor League Maestros: First Basemen 2019. The former University of Virginia catcher has proven true to his draft-day bio: he sees a lot of pitches and draws bases on balls. Thaiss is coming off back-to-back years in which he’s driven in better than 70 runs, and had an OBP right around the above-average mark (.328). Coming out of college, he was known to have an above-average bat, and he’s shown signs of always being ahead of the curve at each stop in the minor leagues. With Justin Bour and Albert Pujols (I mentioned his large contract earlier) looking to man first base early into the 2019 season, the Angels are in no need to rush Thaiss to the Majors. Sprinkle in Shohei Ohtani eventually coming back from Tommy John Surgery and the Angels have first base and the designated hitter spot filled. However, with Pujols prone to injury at this point in his career, and Ohtani still a few months away from being game-ready to swing a bat, we could see Thaiss called within the first few months of the season. While this seems unlikely, he is for sure to get the call at some point this season. A lot of experts have him ranked lower than I do, but I absolutely love the fact Thaiss owns a career minor league slashline of .280/.357/.437 while showing the ability to draw walks at every level of minor league baseball. There was an international free agent that signed with the Angels prior to last season and hit as well as pitched. Yes, that player is Shohei Ohtani, and yes, we are about to find out if another player will follow suit in the Rays’ Brendan McKay. While at Louisville, McKay was a standout as both a pitcher and hitter. Through two minor league season, McKay has featured on the mound and at-bat. While his offensive numbers may not be as eye-popping as one would hope, he has shown the ability to hit and draw walks. What makes him a solid prospect is his ability to spray the ball to all parts of the field. There’s no questioning his ability to hit for .300 as well as be a perennial 20+ home run hitter. And yes, there is his ability to pitch. Through two minor league seasons, McKay has gone 6-2 with a 2.29 ERA, 0.85 WHIP, and 1[24:19] K:BB ratio. His ability to both pitch and hit gives the Rays multiple possibilities, and we could see him do both at the Major League level. The Rays enter the season with 27 year-old Ji-Man Choi penciled in as their starting first baseman. While his sample size is small, he’s a career-.230 hitter in the Majors, and if the Rays are looking for a boost, McKay could get called quickly into the 2019 season. It’s no secret the Red Sox and Yankees are the darlings of the AL East, but don’t let that shade the fact the Rays are coming off a 90 win season. On paper, this team isn’t exciting especially in terms of fantasy assets, but they put the ball in play, and are an above-average defensive team. If there is any need for pitching, or hitting, at the Major League level, be sure to keep tabs on McKay. Even if he winds up spending more time on the mound, he will carry value as a pitcher. The former second round pick (2016) is starting to get Mets fans anxious. Not only has been able to manage his strikeout rate, but his power has translated to multiple stops in the minor leagues. Dominic Smith looks to enter the season as the Mets starting first baseman, but his numbers lead me to believe his offensive stat line will be similar to James Loney. With that being said, Alonso is coming off a 2018 season that saw him slash .285/.395/.579 with 36 home runs and 119 RBI. These numbers may look inflated, but they came between Double-A and Triple-A. 21 of his home runs came at Triple-A. Coming off an 85-loss season, the Mets brought in reinforcement with trades for Edwin Diaz and Robinson Cano. Add in free agents, Jed Lowrie and Wilson Ramos, and the Mets are looking to compete in a division with the Washington Nationals and quickly blossoming Atlanta Braves and Philadelphia Phillies. Dominic Smith’s leash is going to be short, and if he struggles early, we will see Alonso get the call quickly. The Mets can’t afford to fall behind early, and if Alonso starts off hot, they will make sure his bat is ready in New York. The Mariners find themselves in a division that the Houston Astros have taken a firm grasp of. Still, they are coming off a 2018 season that saw them win 89 games. Pitching has been a question mark, but they did sign the top international free agent pitcher in Yusei Kikuchi. Still, they have a long way to go, and they’re trying to bolster their minor league system. One of their brightest prospects in former first-round pick (2017) Evan White. After playing nearly all of 2018 in Single-A, he found himself going directly to Triple-A by season’s end. His first full minor league season was remarkable. With Ryon Healy being under control until 2023, the Mariners have options in terms of when they call Evan White to the Majors. Still, White brings unprecedented athleticism to first base, and could find himself playing a corner outfield spot. His focus has been line drives, and he was able to keep his K% around 21% in 2018. He isn’t afraid to take a walk, and the athleticism factor could see him get a call in 2019. Playing time will be key, but when he’s ready there’s no question he’s going to be able to hit Major League pitching. The only question will be with what kind of power? There’s no questioning Bradley’s power potential, and that’s evident as he posted 20+ home runs every season since 2015. The one question, as with many power hitters, is whether or not he can keep strikeouts in check. His 2018 30% clip brings some cause for concern, but there’s no questioning his power will translate to Cleveland. With power, he brings the ability to hit the ball to every part of the field, but I assure you Major League pitchers will try to catch him whiffing often. With Jake Bauers looking to start the season at first, the 23-year old could be on a short leash as the Indians are looking to clinch their fourth-straight division title. Rest assured, Bradley will get his call in 2019, and the home runs will come. I wouldn’t expect him to ever hit above .270, but 30+ home runs a season is attainable. Arizona made headlines this offseason trading pending free agent Paul Goldschmidt. I’m sure it wasn’t easy to do, but there’s no question Goldschmidt is going to get a significant contract next offseason, and the Diamondbacks weren’t looking to extend a 32 year-old first baseman. With that being said, Jake Lamb moves from third to first, and this gives the Diamondbacks the ability to further develop the 2017 seventh overall pick Pavin Smith. Coming out of the University of Virginia, Smith was arguably one of the best collegiate bats available. The Diamondbacks were clearly planning ahead selecting Smith and knowing Goldschmidt would soon be gone. During the 2017 season, Smith’s advance approach was evident as he finished with more walks (27) than strikeouts (24). 2018 was another successful season as he posted an above-average OBP (.361) while drawing 57 bases on balls compared to 65 strikeouts. Currently, Smith has gone as high as advanced A-ball. I look for him to advance rapidly through the minor league ranks in 2019, with the possibility of taking over the job in 2020. Jake Lamb is arbitration eligible after this season, and with Eduardo Escobar signing a team-friendly deal this offseason, should the Diamondbacks decide to trade either, the path will be paved for Smith to take over first for the Diamondbacks. It remains to be seen if the ultra-athletic Rooker makes his debut at first base or corner outfield for the Minnesota Twins. His raw power is evident as he’s hit 18+ home runs in his first two minor league seasons. In 2018, he was able to keep his strikeouts in check, while drawing walks. The Twins aren’t in a rush to get Rooker to Minnesota, but with his power in full display, we could see him quickly move from AA to AAA. Cron is another player that is under control until 2021, and should the Twins look to move Cron by the deadline, Rooker could get a call in 2019 before being penciled in as the everyday first baseman in 2020. Rooker is an interesting fantasy target as his power has quickly translated to professional ball from college. Again, like nearly all young power hitters, the key to success will be limiting strikeouts in the Majors. Make no question about it, Pratto is the future first baseman of the Kansas City Royals. A lot like Brendan McKay, Pratto pitched in high school, and while he has yet to debut, on the mound, in minor league baseball, I wouldn’t be shocked if we see this come to fruition in 2019. Pratto’s athleticism, and multiple position ability, made it easy for the Royals to select him 14th overall in 2017. He’s coming off two-straight minor league seasons in which he’s posted an OBP of .330 or better, and the power showed during his first full minor league season. I wouldn’t be shocked if Pratto finished 2019 in Double-A, with 2020 being the year that he gets his first shot in Triple-A (at season’s end). His plus hit ability has drawn comparisons to Joey Votto since before he was drafted, and I look for Pratto to further develop in the next two seasons. The Royals are placing band aids on the first base position until the best player to man first since Eric Hosmer is ready. Arguably one of the top prep prospects in the 2018 draft, the Red Sox selected Casas with the 26th overall pick. At 6’4″ he possesses great raw power, bat speed, and loft that is desired around Major League Baseball. He carries the ability to play both third and first, but his size serves him better for first. We saw an extremely small sample of minor league baseball in 2018 as Casas tore a thumb ligament during his second professional game. That being said, he should be ready to go entering 2019, and there is great anticipation for last season’s first round draft pick. The Red Sox have done a great job in past years finding talent in the first round, and developing them into MLB-ready talent. While we are a few years away from Casas being ready, I’d start keeping tabs now, because the size, and power, is there for Casas to be a top power-hitting first baseman. Diaz made my 2018 first base prospects, and while he’s fallen off many experts’ rankings after a season-ending injury ended his 2018 season, I still see talent in the 22 year-old Dominican. Prior to 2018, Diaz slashed .292/.329/.444 with 12 HR and 68 RBI at Single-A Cedar Rapids. Diaz was primed to blow past his career-high of 12 home runs before a fractured thumb required season-ending surgery. While Diaz has played only first base in the minors, he could see himself at a corner infield spot should the Twins decide to keep Brent Rooker at first. Still, Rooker possesses more athleticism and could be the player that moves to the outfield between these two. While Diaz possesses great raw power, I like the fact that he’s able to keep his strikeout rate low–posting K% of 16%, 25%, 20%, 17%, and 19% during his first five minor league seasons. Still 22, Diaz is only going to fill out his 6’3″ 180lb frame. The power is only going to keep coming, and I love the fact he does damage from the left-hand side of the plate. Keep an eye on Diaz. While he may never develop into a superstar, if he does, you’ll be one of the few that’s been keeping tabs on him early into his development. Major League Fantasy Baseball Radio Show: Join host Brian Roach, Jr, and Cole Freel live on Sunday February 10th, 2019 from 8-9:45pm EST for episode #136 of Major League Fantasy Baseball Radio. We are a live broadcast that will take callers at 323-870-4395. Press 1 to speak with the host. Join us for our first Sunday night show of 2019. We will be breaking down the National League divisions over the next 3 Sundays. You can listen live on blogtalk, majorleaguefantasysports.com, or download the podcast on I-Tunes or any Android podcast app. This week we will break down the N.L. East. Our guest this week is Joe Iannone. Joe is a writer with majorleaguefantasysports.com and a frequent guest on our Sunday night shows. 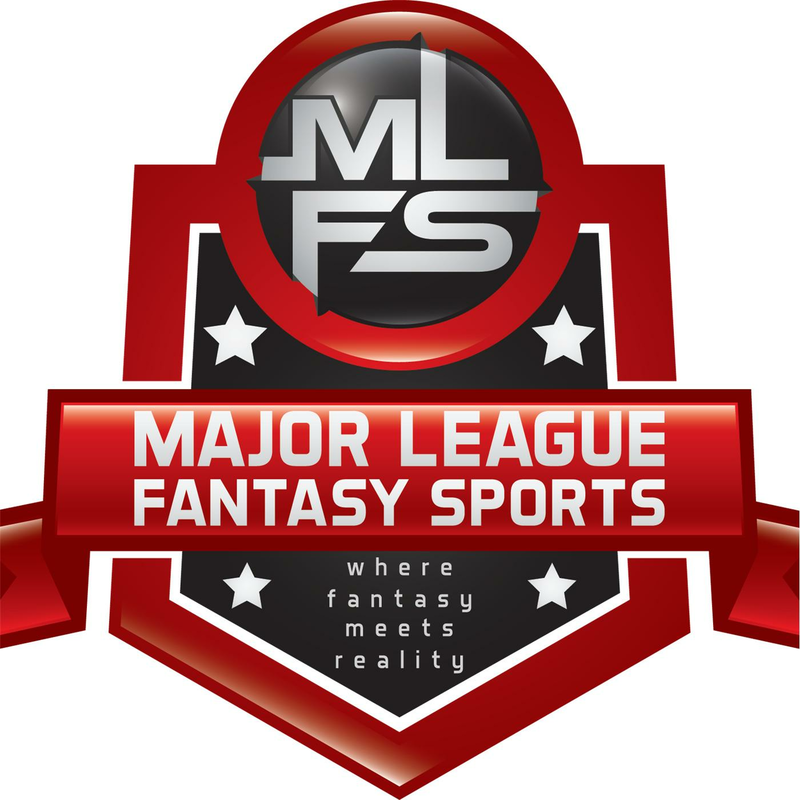 Major League Fantasy Baseball Radio Show: Join Corey D Roberts, and Kyle Amore on Thursday February 14th, 2019 from 9pm – 10:45pm EST for the Major League Fantasy Baseball Radio Show. Call in number is 323-870-4395. Press 1 to speak with the host. You can listen live on blogtalk, majorleaguefantasysports.com, or download the podcast on I-Tunes or any Android podcast app. Our topic for tonight will be the A.L. Central. Be sure to check out our Sunday night show February 17th from 8pm to 9:30pm EST. They will cover the N.L. Central.